Can Cats Smell Cancer In Humans? Dogs, with their incredible sense of smell, can be trained to sniff out some ailments in humans, including low blood sugar and yes, cancer. What about cats? They're generally less tuned in to humans than dogs are, but do they have the ability to sniff out human diseases? 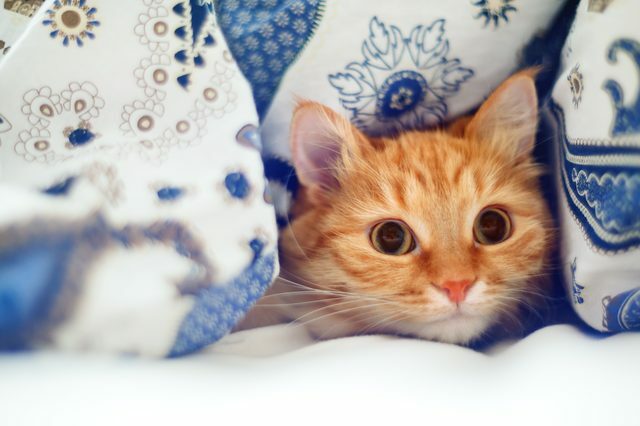 Some pet parents claim their cats detected their cancer. There's anecdotal evidence that cats have detected cancer in their humans. A woman claimed that her cat alerted her to her breast cancer by repeatedly jumping on the affected breast. A man claimed that his cat warned him of his lung cancer by dragging his paw down the left side of the man's body, where doctors later found a large tumor. So far, these anecdotal reports are all the evidence we have. Unlike with dogs, there have been no formal studies examining cats' ability to sniff out cancer. This might simply be because it's more difficult to motivate cats, famously less food-motivated than their canine counterparts, to learn such a skill. Whatever the reason, we don't have any research to point to — at least not yet. However, some experts firmly believe that cats have the potential to sniff out disease, as well as other things like bombs or survivors of disasters. A 2017 paper published in the journal Applied Animal Behavior Science points out that cats have better "olfactory discrimination" than dogs do. Kristyn Vitale Shreve, who co-authored the paper with Monique Udell, believes that this ability might make cats even better at sniffing out these things than dogs are: "Given the importance of olfaction in cat sensory perception, cats could be trained to discriminate between a variety of odors, therefore serving in working roles for detecting specific humans, medical scent detection, bomb sniffing, or drug sniffing." Additionally, some training experts claim that that the idea of the "untrainable cat" is a myth. They point out that many cats, through training classes, have successfully learned to sit, stay, jump, ring a bell, and more. So it might not be impossible to motivate a cat to detect certain smells. 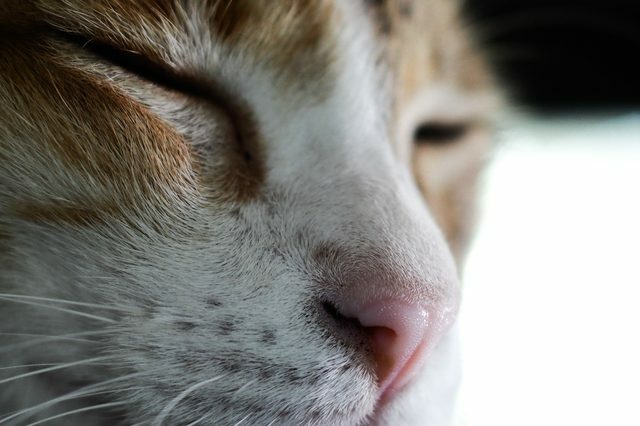 Cats seem to have the potential to sniff out diseases like cancer due to their advanced olfactory discrimination. However, because we have no research around the subject at this time, it's difficult to say definitively whether a cat can sniff out cancer. Here's hoping that changes soon.